Below are the descriptions of each event and fundraiser. 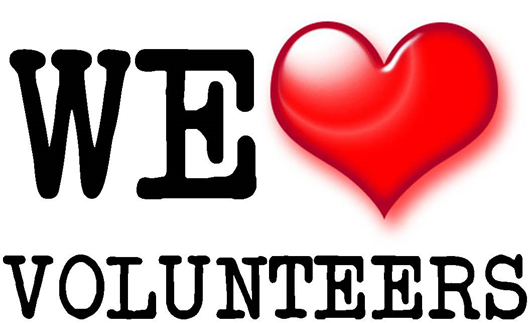 Please consider volunteering for one or more committee...or even the PTO executive board. Chairperson(s) will plan and coordinate with committee members the welcome back dance to be held at the beginning of the school year. Chairperson will be sure to work within the budgeted amount that is designated by the PTO. Party shall focus on school spirit and welcoming the new and returning students to CMS. Chairperson will coordinate the events and communicate them with the PTO. The committee will be responsible to advertise for the event via flyer and email. Chairperson will be the coordinator between the schools and store (Fry’s) with their fundraising programs. They will work with the CMS families and raise awareness of the fundraising programs as well as communicate with them how they can participate. The chairperson will communicate the school’s earnings to the PTO. Chairperson will research at least 3 companies to work with and present to the PTO the company they recommend for approval. The chairperson and committee will coordinate all advertisements and communiqués regarding fundraiser. They will work with an administrator regarding staff requirements and rewards. Chairperson will work with the PTO treasurer with all funds and communicate with the CMS staff and families of the progress. Chairperson will communicate the final earnings with PTO. Chairperson(s) will plan and coordinate with committee members various staff breakfasts/luncheons throughout the year. Chairperson/committee will provide dinners for teachers during fall and spring conferences. Chairperson(s) will also plan staff appreciation week in May. Chairperson will work with CMS staff to plan Dodge ball tournament. Chairperson will handle all fundraising and behind the scenes preparation for tournament play (donation sheets, life sheets, grade level brackets, announcements and staff draft selections). Committee will honor all staff member’s birthdays. Committee will decide at the beginning of the year how they will honor staff member once a month for their birthday lunch. Committee will need to work within their allowed budgets for the year. Chairperson will organize monthly FDN at a local restaurant every month from August through May. This committee will be responsible for advertising the event, working with school secretary to get the events on the calendar and creating flyers to be sent home and/or emailed to the CMS families. The Chair will need to follow up with the restaurants for fundraiser earnings and communicate that with the PTO. The website coordinator will keep the PTO website updated with calendar of events and fundraisers. They will keep the website updated with the PTO minutes, bylaws and budget. Chairperson will coordinate with Urban Air and communicate the event with the CMS community. This committee will be responsible for advertising the event, working with school secretary to get the event on the calendar and creating flyers to be sent home and/or emailed to the CMS families. Chairperson will coordinate with Main Event and advertise the event with the CMS community. This committee will be responsible for advertising the events, working with school secretary to get the event on the calendar and creating flyers to be sent home and/or emailed to the CMS families.